Silver with two tone band. With Studs and Texas Star. 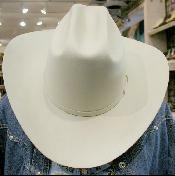 Classic silverbelly color in a classic cowboy hat. 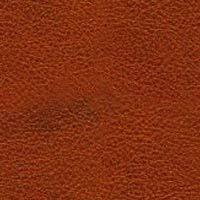 Handmade in the US. Reich and dark chocolate colred hat, featuring a bound edge. All sizes available. Seldom seen, forest green in a cowboy hat. Handmade in the good old USA. All sizes available. Tons of style and attitude! 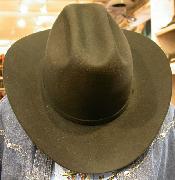 The fun cowboy hat! All sizes available. Genuine beaver handmade hat. Featuring a double row hand braided hat band. 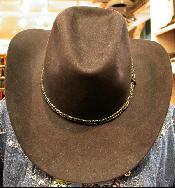 Classic silverbelly cowboy hat. The creme de la creme. Traditional shape. Black beaver handmade hat. The style is all cowboy.